It’s Star Wars season once again, with The Last Jedi soaking up money like a sponge and every kind of merchandise hitting shelves. That means plenty of us will be diving into Star Wars Battlefront 2 after watching the latest movie to live out their stormtrooper-blasting fantasies, but some of us will be going back to our favourite older releases too. Such as? Well, while there have been plenty of Star Wars games across the decades, only some have captured fans’ hearts. One of these – Knights of the Old Republic – will receive a glossy fan-remake soon, but which other Star Wars video games deserve to be remade too? When Star Wars: Dark Forces came along in 1995, it was a well-received Doom clone that boasted a decent storyline and a compelling lead character. The sequel, though, was a step up. It was built on a more powerful engine and took the action beyond shooting, with Force powers at your disposal too. Dark Forces II let you play with a lightsaber in first-person (though a third-person option was included), working as a deadly weapon as well as a way to deflect blaster fire. Your hero, Kyle Katarn, got to make use of light, dark, and neutral Force powers along the way, and your choices led to two different endings. Dark Forces II tossed a multiplayer into the mix, too – and let’s not forget the live-action cut-scenes, either. Kyle Katarn went on to become a popular figure in the Star Wars Expanded Universe (now rebranded as Legends), and the Dark Forces games still have their fans. It would be terrific to play a remake of the second one, wielding a lightsaber in first-person and exploring Kyle Katarn’s evolution again. Imagine how great it could be with the latest graphics, updated mechanics, and some tweaks here and there. Whether Disney would let this go ahead or not is pretty shaky, considering Kyle Katarn exists only in an alternate Star Wars universe, but fans can hope. 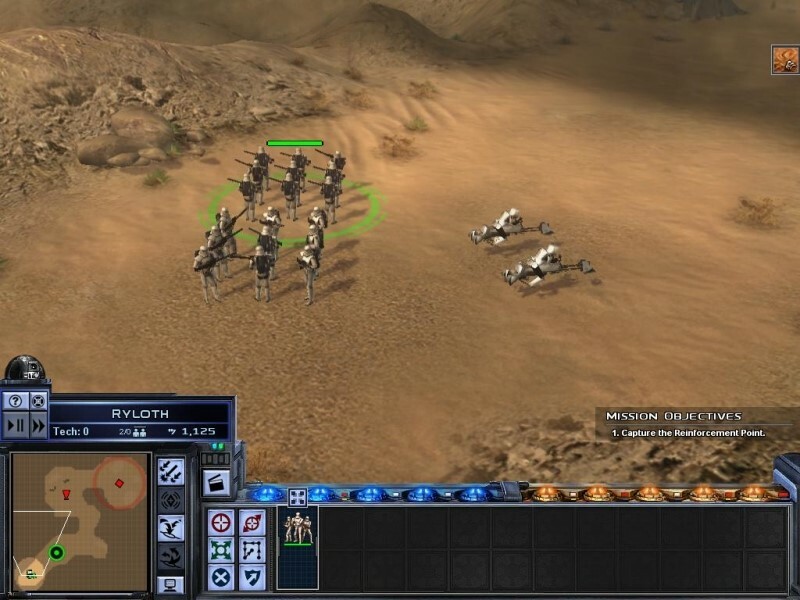 Star Wars: Galactic Battlegrounds was an RTS developed by LucasArts with Ensemble Studios’ (the team behind the popular Age of Empires) Genie engine. As a result, it was a gorgeous game with plenty to enjoy, and went on to sell extremely well. Not everyone loved it, but those who did became hooked by the immersive gameplay, building their own armies and ultimately becoming part of the kind of massive battles we’ve seen in the movies. Multiple campaigns were available, thanks to the different factions like the Gungans and the Rebel Alliance, while others were introduced through the Clone Campaigns expansion. Seeing this recreated today would be a lot of fun, as much more could be done to expand the experience. Kyle Katarn returned in Jedi Knight: Jedi Academy, though not in the lead. 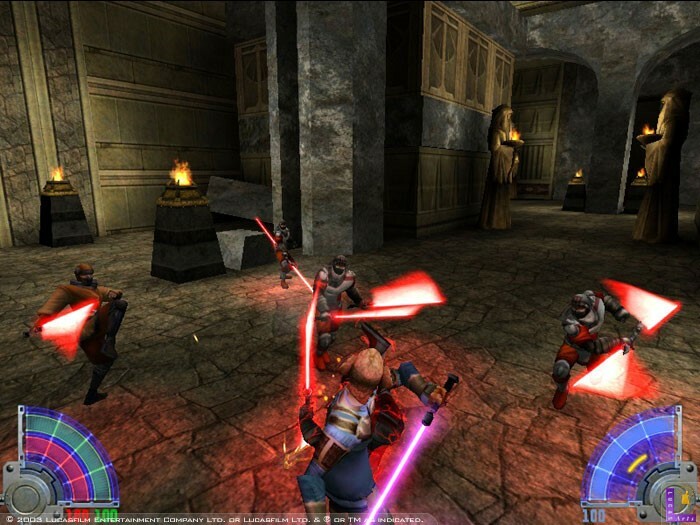 The game revolved around tinkering with Force powers and a lightsaber, expanding on the action established in Dark Forces II. Light and Dark Force powers were available, and the lightsaber combat was enhanced by being able to craft your own model; depending on the one you chose, you could fight in different ways, with multiple stances available. It made a nice change to simply waving one around like a baseball bat, as in some of the previous (and subsequent) Star Wars games. You could also use vehicles too, and take part in multiplayer battles online. Jedi Academy wasn’t perfect, but it was really well-received and gave fans the chance to delve deeper into the Star Wars world. If this were remade today, with the most realistic visuals and enhanced-but-similar gameplay, it would be amazing. Empire at War took the Star Wars RTS further than Galactic Battlegrounds, and did a tremendous job. It incorporated ground and space battles, all on a grand scale, and captured the atmosphere of the movies pretty well. You could either play as the Rebels or the Empire, and having Darth Vader lead your armies across planets, taking down rebel squads with different abilities, was just one of the awesome things you could do. The space battles were another top feature of Empire at War, with oodles of recognisable ships rendered in beautiful visuals. There’s huge potential to bring this back with updated visuals and refined gameplay, or to take it as inspiration as a brand new RTS. TIE Fighter has a fantastic reputation, and the reasons for this become clear when you play it. This 1994 game takes you into the cockpit of an Imperial ship, casting you as a pilot battling Rebels across the galaxy. 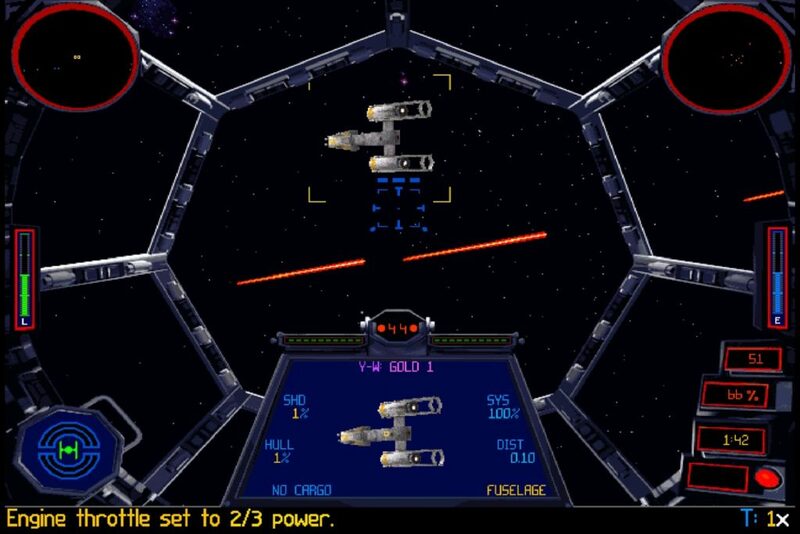 TIE Fighter was built using X-Wing’s (another successful Star Wars game) engine, and looked outstanding at the time, attracting incredible praise. TIE Fighter let you pilot numerous Imperial ships and, with its voice acting and music, managed to make you feel immersed in the Star Wars universe. The game looks pretty aged now (unsurprisingly), but a new version would still have massive appeal, especially if it incorporated new Imperial / First Order ships and characters. 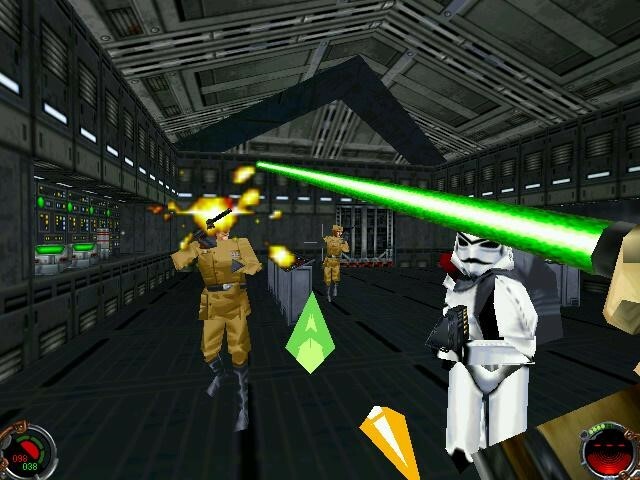 Which Star Wars video games would you like to see remade? Let us know!